You may remember my previous review of Tapas Revolution- I was pleasantly surprised. The food was good quality, tasty and reasonably priced and I liked the unusual atmosphere of Grand Central. 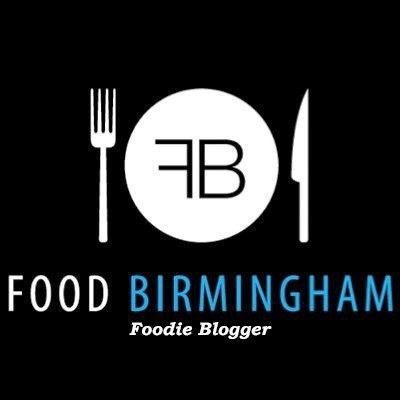 They recently introduced five new dishes, which all sounded great, so I went along to try them. It was a couple of days after coming back from New York and Edd's first day back at work. We were happy to be back at Tapas Revolution, in a booth overlooking the station. We chose a pitcher of Sangria to share and took a look at the menu. 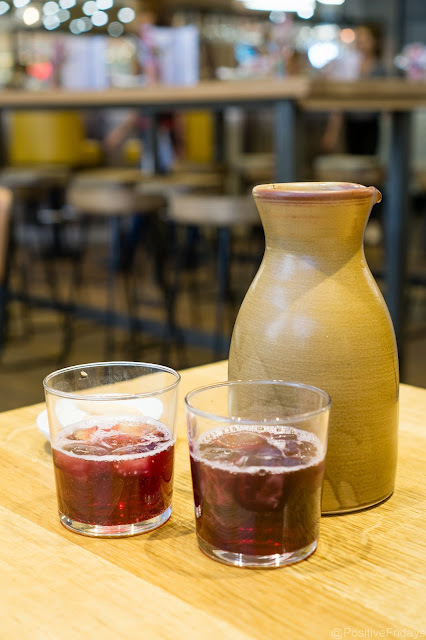 Pitchers of Sangria are £14.95 and are half price from 4-7pm every day. Next time I'll be trying one of their Spanish style G&Ts, served in a large glass with plenty of ice and fruit. The sangria was sweet and fruity but refreshing too. For food we decided to share all of the specials, plus some bread. As it is tapas, portions are small and simple and range from about £2 to £8. The dishes arrive as they are ready, so they aren't sitting around waiting. 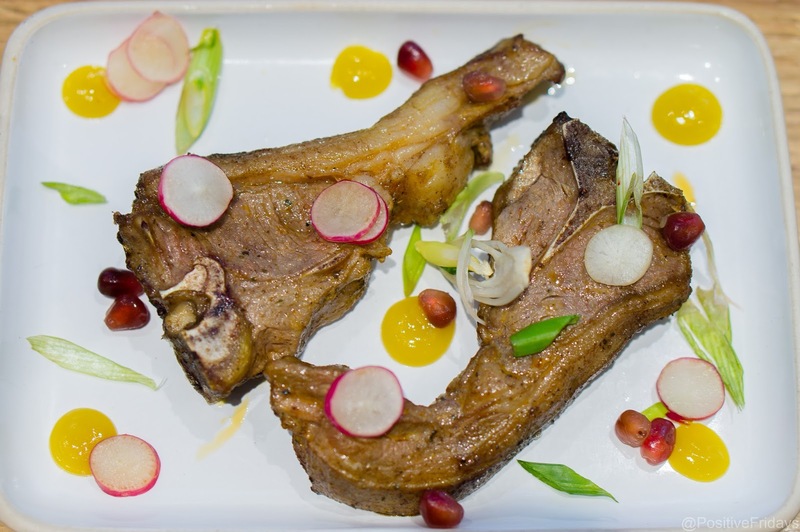 First to arrive was Chuletas de Cordero (£7.95) roasted spiced lamb chops, with pomegranate and radish. The taste was delicious but I prefer lamb chops well done. Call me a philistine but that's my preference. The menu said they are served pink; it would be nice to have a choice. 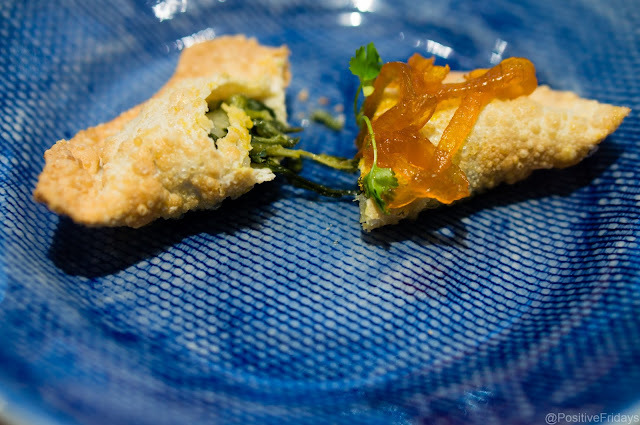 Empandillas (£5.50) spinach and goats cheese parcels with saffron marmalade. 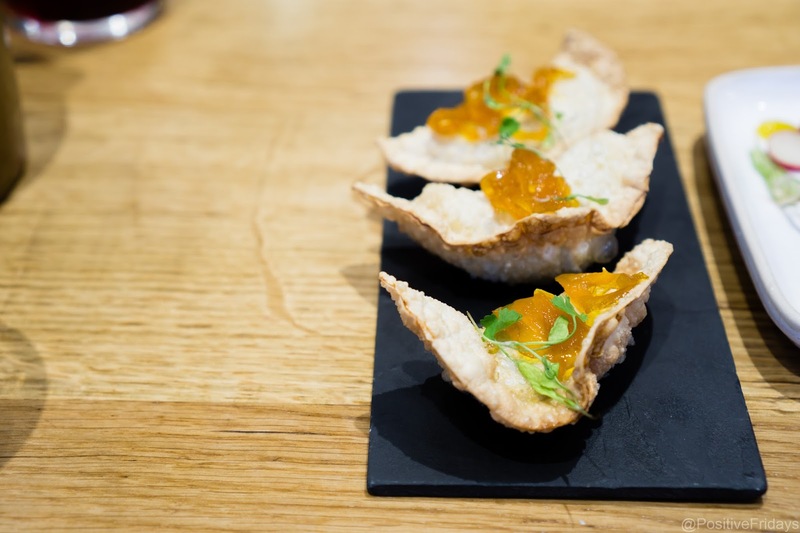 I loved the crisp parcels and the filling was pleasantly light. The saffron marmalade was a perfect accompaniment. 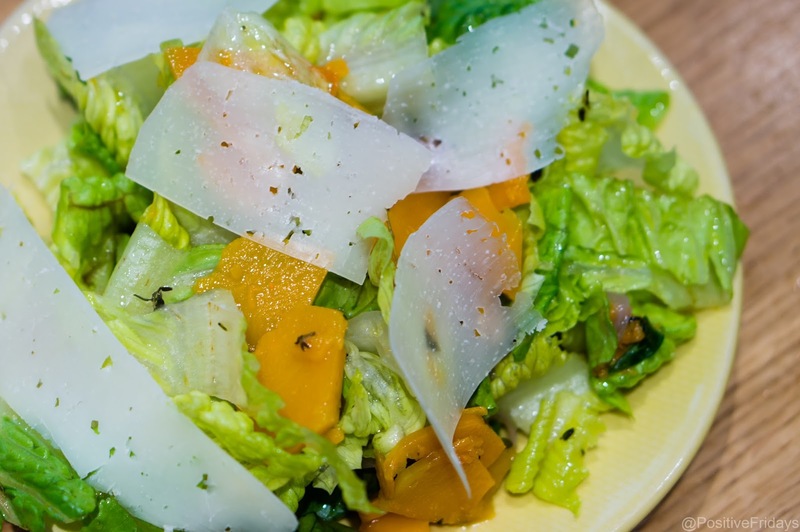 Ensalada de calabaza y Manchego (£4.95) baby gem lettuce, roasted butternut squash, Manchego cheese, raisin and pine nut vinaigrette. This doesn't look much but was actually one of my favourite dishes of the evening. Great quality ingredients and a light vinaigrette. 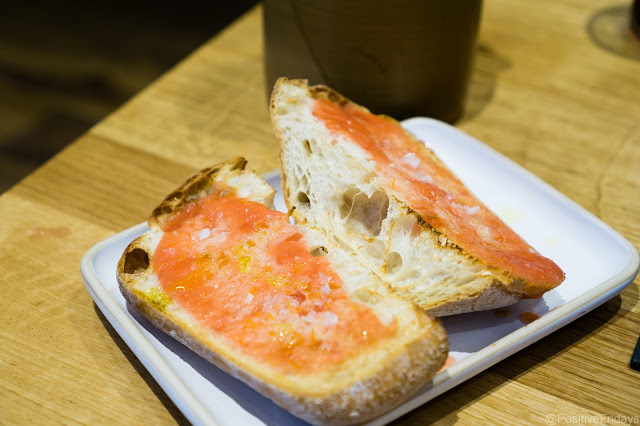 Last time we had tried the Pan de la Casa, with serrano ham, so this time we went simple with Pan con tomate (£2.95) toasted bread, garlic, tomato and olive oil. The bread is soft and gooey from the tomato but retains a tasty crust. I wasn't excited about the Gazpacho de sandia (£3.25) chilled tomato soup with a watermelon soup. 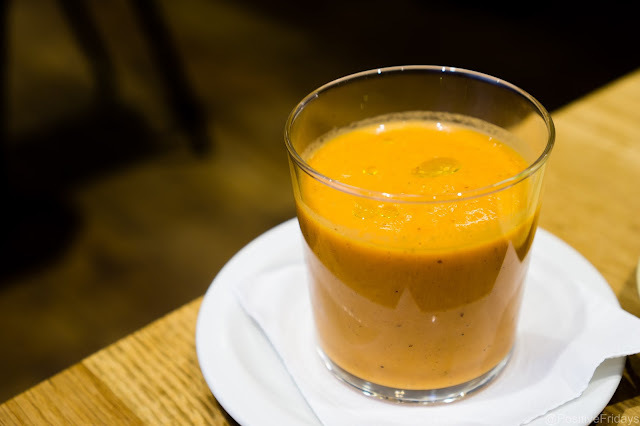 I've had gazpacho before and wasn't overwhelmed. I loved the twist of watermelon in this though. 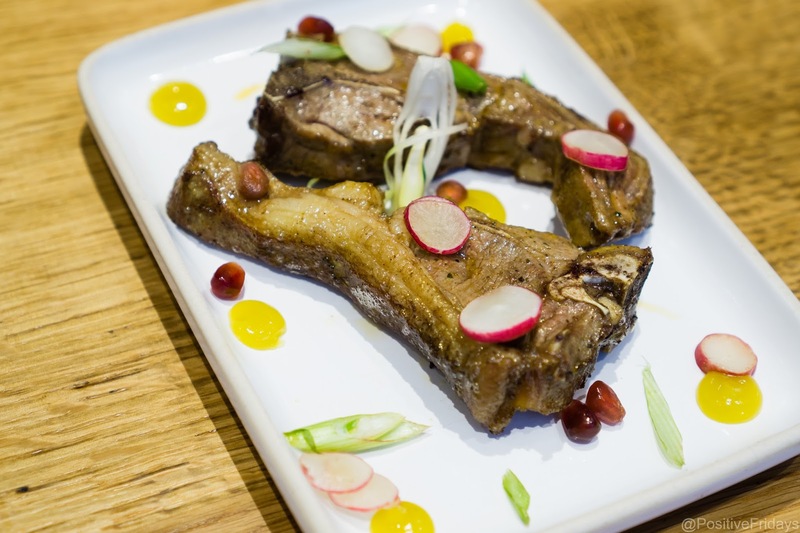 It made for a refreshing, summery dish and was enjoyed by both of us. And Edd doesn't even like soup. Definitely recommend this one. Finally, chicken wings. 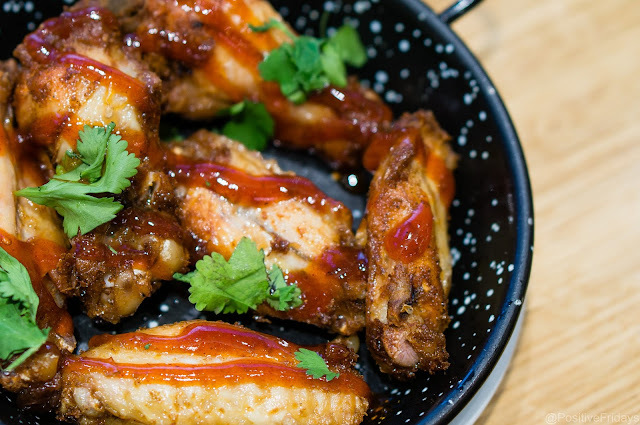 Alitas de pollo a la miel y limon (£5.50) marinated crispy chicken wings with a lemon and honey dressing. How amazing does that description sound? There were plenty of wings, the skin was crispy and the sauce was delicious. A really beautiful sticky, sweet but not too sweet sauce and there was a gentle heat to it too. So why was there not more of it? 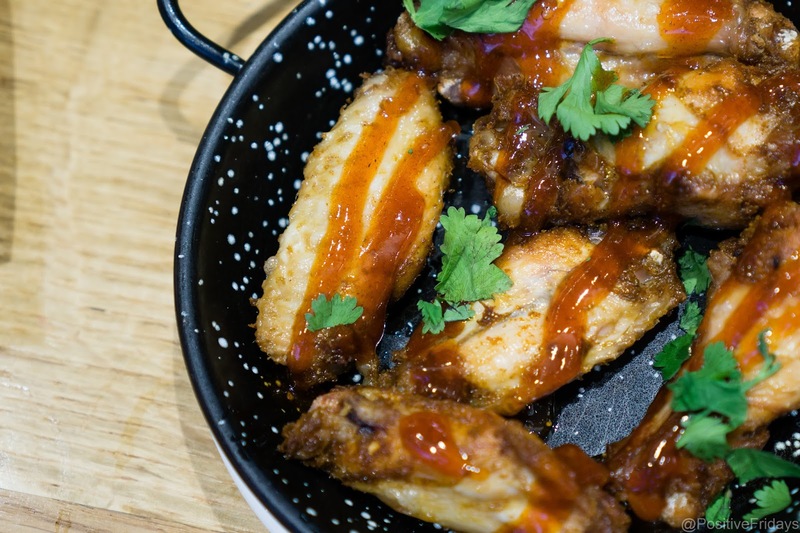 Personally, I want my chicken wings to tossed in a bowl with plenty of that beautiful sauce. The sad little drizzle seemed like a waste of sauce. This could be a fantastic dish but there's just not enough sauce. What a shame. Nevertheless it had been a lovely, fresh and tasty meal. The wings weren't unpleasant but they weren't as good as they could have been. We didn't fancy pudding so we went for a carajillo each (£3.95). A shot of strong espresso with a shot of brandy and still the only place I have had this outside of Spain. 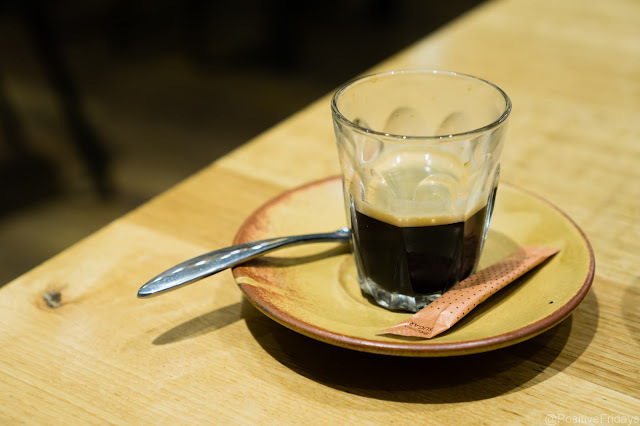 Just the fact that I can get a proper carajillo makes me love Tapas Revolution. 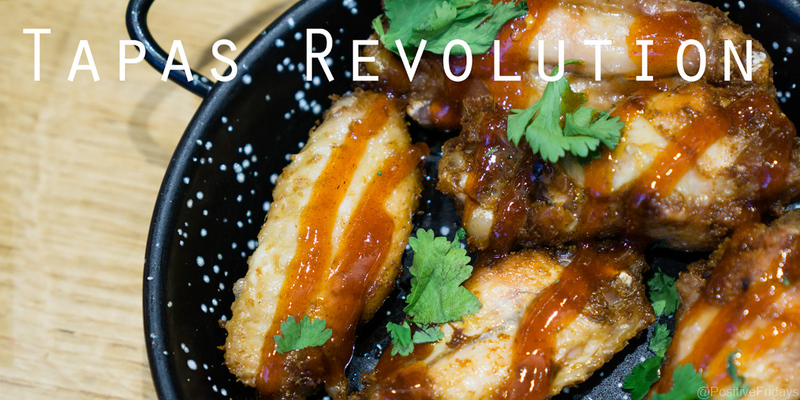 I'd recommend trying to get to Tapas Revolution for 241 G&Ts and Sangria between 4 and 7 and grabbing yourself some delicious treats to nibble on. The meal was complimentary for review purposes.